The weather is warming up and there is still time to get your gardens prepared. The average date of the last freeze in North Texas is the third week in March so now is the time to get started. I’ve followed Neil Sperry for many years for his expert advice on gardening and so much more on his weekly radio show . I ran across this great online guide titled “Everything you need to know to plant a successful vegetable garden here in North Texas”. He includes are some very informative tips, check it out. Pick the sunniest site. Vegetables need sunlight. Provide perfect drainage. No vegetable crop grows well in waterlogged soil. Start small. Too many gardeners are overly ambitious at the outset, only to become discouraged by their poor results when they can’t maintain all the space they’ve opened up. Choose only crops your family really likes, then specialize in those. You can always expand the second time through, but if you fail you may never come back. Prepare the soil carefully. Organic matter is your key to success. 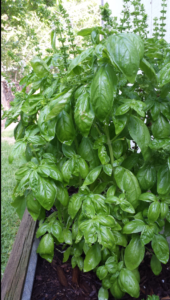 Add 5 or 6 inches of a blend of sphagnum peat moss, compost, well-rotted manure, finely ground bark mulch and other organic matter and rototill to a depth of 12 inches. Know the proper planting time for each crop that you’re growing. This is a really big issue! Every crop has a two- or three-week window in which it must be planted. If planted too early it may not survive the cold weather. If planted too late it may not mature before heat sets in. This is one of the main places where people set themselves up to fail. Here are some of the main crops and their timing. Late January: English peas, asparagus (perennial), onions. Mid-February: cabbage, broccoli, cauliflower, Brussels sprouts, Irish potatoes. Late February, early March: leaf lettuce, Swiss chard, radishes, carrots, turnips, beets. Late March, very early April: beans, corn, tomatoes, peppers, squash, melons, cucumbers. 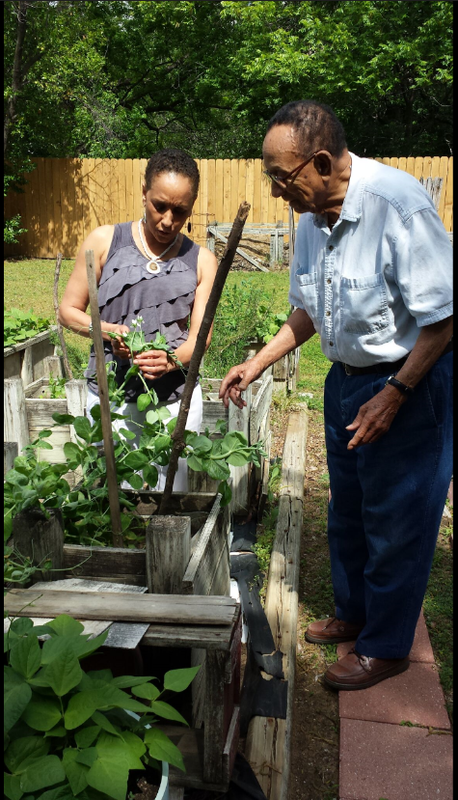 Mid-April into early May: sweet potatoes, okra, southern peas. Choose the best varieties of each crop that you grow. Texas A&M vegetable specialists have lists online. In many cases they will be hybrids selected for productivity, yield, flavor and pest resistance. Many of the old heirloom varieties, tomatoes for example, are notoriously poor producers in Texas conditions. Limit the numbers of those that you try. Harvest your produce at the peak of maturity. In many cases, that will be before it reaches full size. Cucumbers, okra and summer squash, for example, should be harvested when they’re little more than half their full size. The same goes for carrots, green beans and lettuce leaves, and you harvest broccoli before any of the flower buds actually start to open. Extend the season by planting fall crops in the same ground. Truth be told, fall vegetable gardens are often more productive than their spring counterparts. Involve a youngster in your gardening plans. Whether it’s a child, grandchild, niece, nephew or students at a school in your neighborhood, there’s something magical about helping little hands plant big seeds and guiding them in growing vegetables all the way to harvest. It’s something neither you nor they will ever forget. 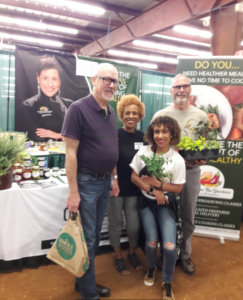 The Garden Show in McKinney was a great event! 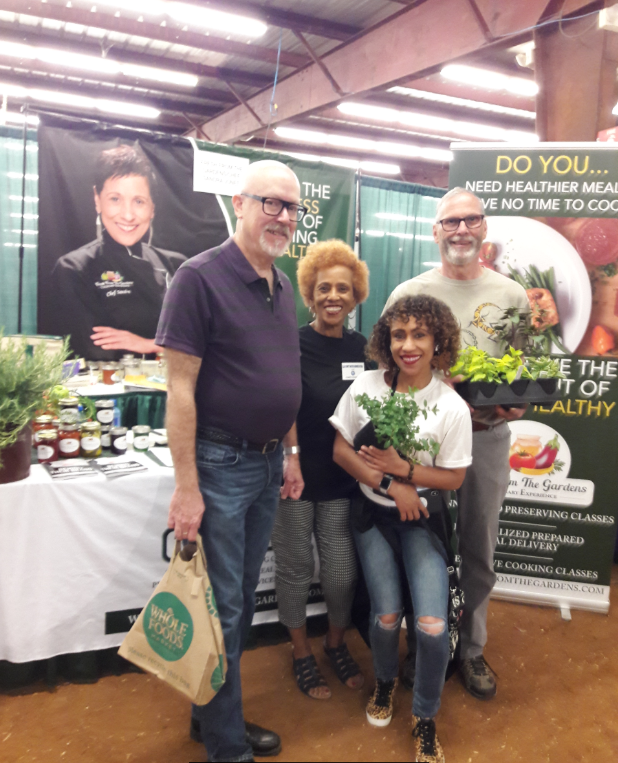 There were a variety of vendors who were eager and ready to greet you and envelope you in the world of gardening. I had an awesome time visiting all of the vendors and learning about their products or services. 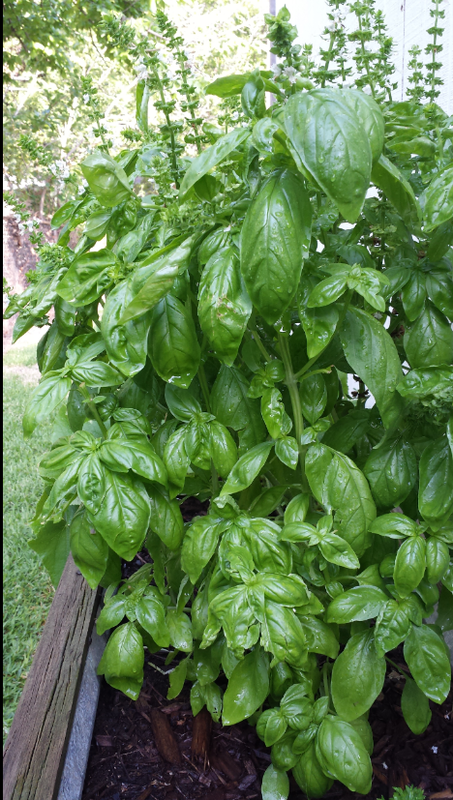 Even bought myself a bunch of fresh, organic herbs...they smelled amazing! The speakers were so informative and passionate about their topics that it motivated you just hearing them speak. I felt honored to be able to share my passion of canning! Though there was a lot of hustle and bustle leading up to the event and I even lost my voice a bit, I enjoyed every minute of it! From chatting it up with canning enthusiasts to hopefully gaining new canning friends in my seminar "Preserving Your Harvest", my weekend in McKinney was well worth it. 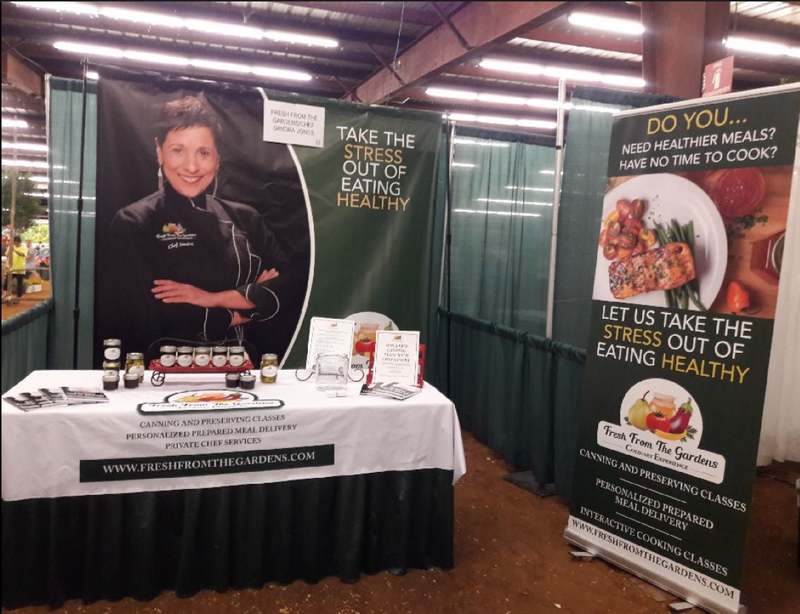 Thank you to everyone who came out to the Garden Show in McKinney and stopped by my booth or joined me for one of my “Preserving Your Harvest” presentations! It was great meeting so many people and visiting all of the vendors at the show. 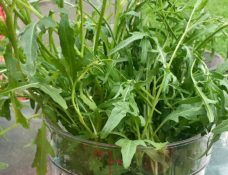 Today I picked the last of the Arugula growing in my garden. Not sure if you even like Arugula? Or like my brother-in-law said when I showed him my arugula, "I thought that was weeds!!" Ha! Here's a great recipe I've adapted and made on several occasions with farro (which is a wonderful grain). 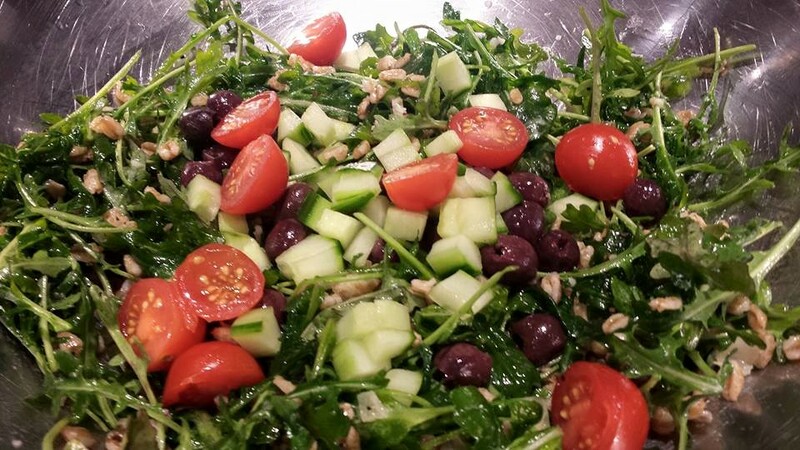 You can also use brown rice or orzo. I rinsed and then toasted my farro in a little sautéed garlic and shallots and used chicken broth instead of water for cooking the farro. If vegan - use vegetable broth. I added English cucumber, crumbled feta and made a dressing using the juice of a couple of oranges, fresh squeezed lemon juice and olive oil. If you like your dressing a little sweet add a little honey or agave. I also toasted pine nuts to sprinkle on top. Spring is absolutely one of my favorite times of year. I look forward to planting my Spring vegetable garden and I thoroughly enjoy the beauty of seeing everything in full bloom this time of year. When I was growing up it was very common to see fruit trees all over our neighborhood. Some of my fondest memories were plum, pear, and peach trees growing in our yard and also in my great-grandmotherdear’s yard, just one block up the street from our home. I will always remember the muscadine grape vines growing in her backyard. Talk about the best grape jelly! 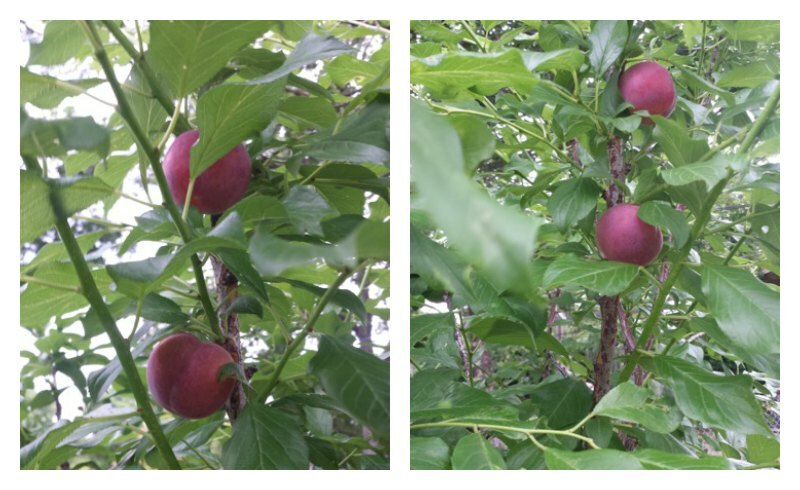 Carrying on this family tradition, I planted three fruit trees a few years ago, (plum, peach and nectarine) and to my surprise, in the first year my plum tree produced a couple of plums--yes two plums--and my peach tree also produced two peaches, as you can see in the pics. They were all delicious and gave me hope for this year. I am hoping for a huge yield. 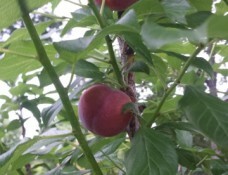 My sister Agnes also planted fruit trees and her little peach tree was loaded with peaches last summer. Fast forward to this Spring. All of my fruit trees are currently in full bloom. 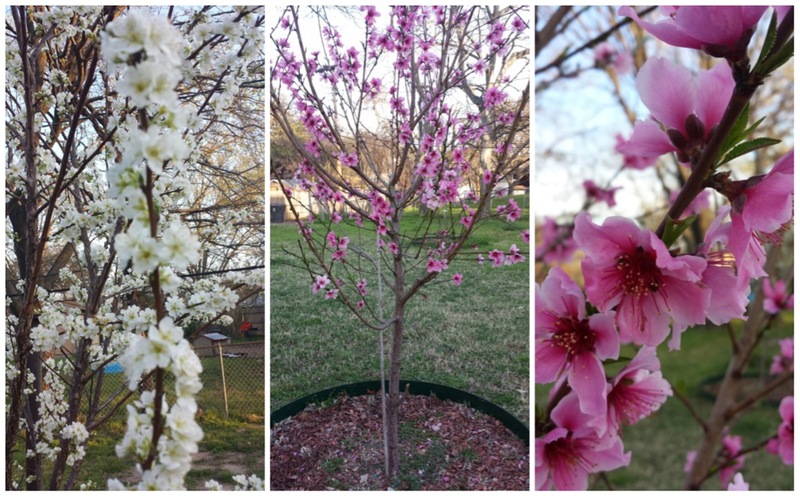 The pink blooms are from the nectarine and peach trees and the white blooms are from the plum tree. I can’t wait to infuse some of my homemade jams and jellies into some amazing spring and summer dishes.